The second North London derby of the season went the same way as the first, with the home side again coming out on top. Harry Kane was the matchwinner for Tottenham at Wembley, rising above Laurent Koscielny to head home Ben Davies’ cross early in the second half, but the hosts were more than value for their victory and, were it not for Petr Cech, could have won by more.  Despite the best efforts of Jack Wilshere and their expensively assembled front trio, Arsenal were unable to offer a consistent threat going forward. Substitute Alexandre Lacazette missed their clearest opportunity in added time. 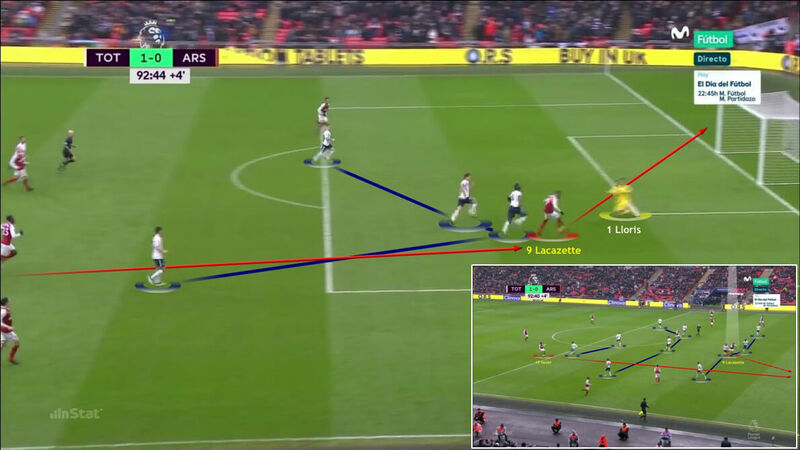 The home side deployed a 4-4-2 system in both attack and defence, with Dele Alli pushed forward into a more advanced role alongside Harry Kane. Eric Dier and the impressive Moussa Dembele, playing in the centre of midfield, were very active in all phases of the match and provided the defence with plenty of support. Tottenham had few genuine problems in the final third, despite Arsenal fielding an attacking trio of Henrikh Mkhitaryan, Pierre-Emerick Aubameyang and Mesut Ozil supported by the late runs of Jack Wilshere. Jan Vertonghen and Davinson Sanchez were able to dominate in the air against Aubameyang, and although the speed of Arsenal’s combinations on the counter-attack did give the hosts some issues, the Tottenham defence always had the numbers and pace to cope. The arrival of Alexandre Lacazette with 25 minutes to go forced the Spurs back line a little deeper in order to cope with the extra attacking threat. The home side’s first option in attack was to play out from the back, through Hugo Lloris, Sanchez and Vertonghen. They tried to establish a numerical and positional superiority in the middle of the park, with Alli, Dembele and Christian Eriksen, who often moved inside from his starting position on the right, in perpetual motion. 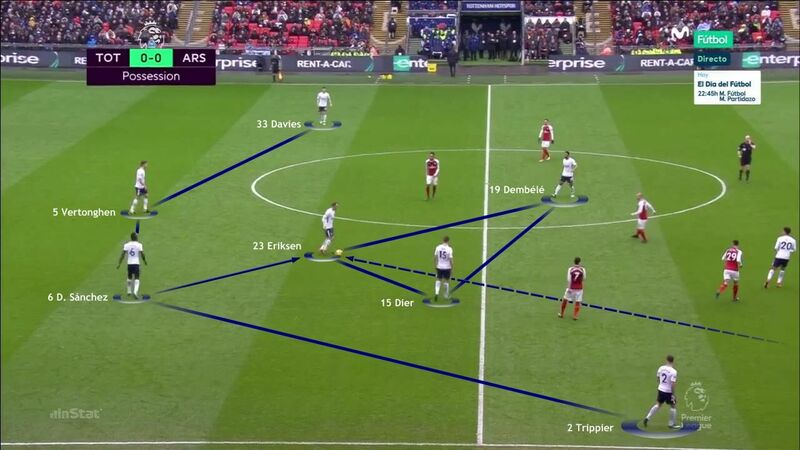 In the final third, Spurs looked for possible routes through the last line of defence, but found it difficult due to the compact defensive positioning of Arsene Wenger’s side. 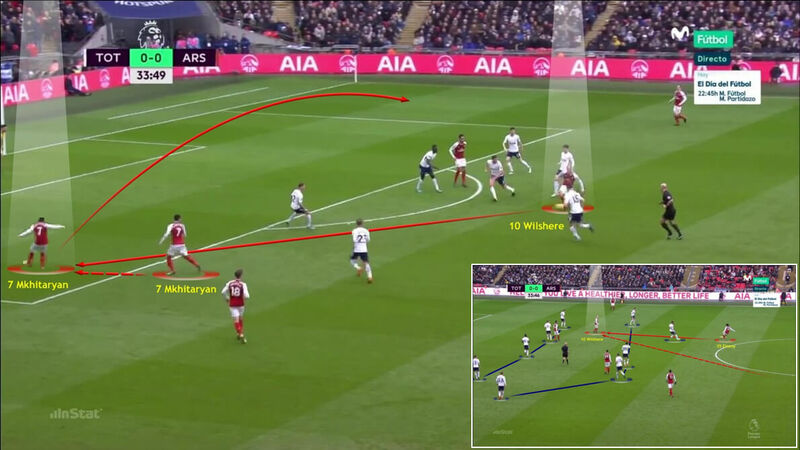 This sent them into wide areas in an attempt to find space, which led to a succession of crosses from their advanced full-backs, Ben Davies and Kieran Trippier. It was a from cross from Davies, finding himself with time and space on the left flank, that Kane towered over Laurent Koscielny to head the winner on 49 minutes. As soon as Tottenham won the ball back in midfield, they tried to find their players best placed to launch a counter-attack with short, sharp passes. 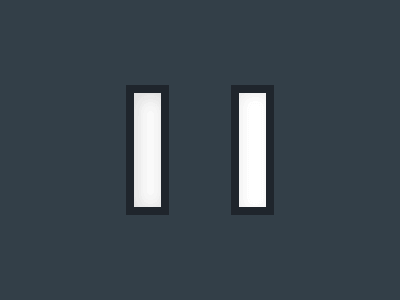 This was not always effective, however, as their attackers were often isolated in such situations. Tottenham deployed a 4-4-2 system in both attack and defence, with Dele Alli pushed forward to join Harry Kane. 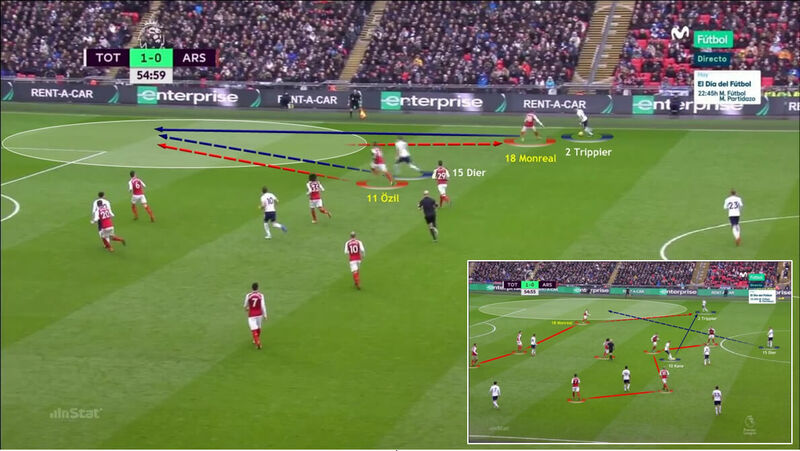 The Arsenal attacking trio of Henrikh Mkhitaryan, Pierre-Emerick Aubameyang and Mesut Ozil rarely posed Spurs any problems, but they did sometimes create space in central areas for supporting runs from the midfielders or, as in this example with Hector Bellerin, the full-backs. Christian Eriksen looked to move inside from his starting position on the right, so he could help Eric Dier and Mousa Dembele make good use of possession in central areas. Tottenham attempted to make the most of the space left by Bellerin and in particular Nacho Monreal in wide areas. Both Ben Davies and Kieran Trippier were able to get in behind and put crosses in. Spurs were a constant threat from crosses in the final third, as seen here with the only goal of the game. Davies found himself with the time and space to play a pinpoint cross into the area for the towering Kane to head home superbly. 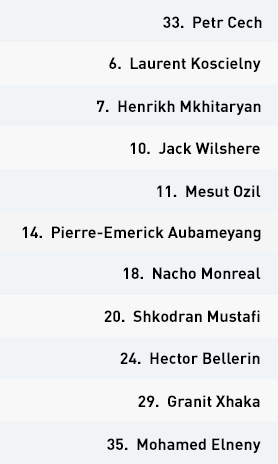 Arsenal adopted a 4-3-3 formation going forwards, dropping back to 4-1-4-1 in defensive situations, with Mohamed Elneny sitting behind the midfield line and Pierre-Emerick Aubameyang the lone forward. Arsenal conceded a good deal of space on their left flank, where Nacho Monreal was exposed throughout. Here, Mesut Ozil tracks back in an attempt to cover the space in behind his left-back. Jack Wilshere played an important role going forward for Arsenal, enjoying the freedom to move across the front line and drop back into intermediate areas when the opportunities arose. 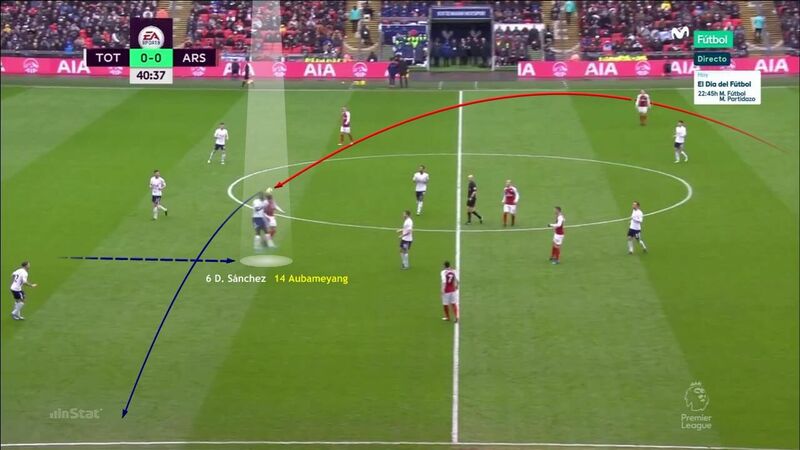 The quality of the Tottenham high press forced Arsenal into more direct balls into Aubameyang, but the forward enjoyed little success against Davinson Sanchez in particular. The arrival of Alexandre Lacazette with 25 minutes remaining gave Arsenal an extra attacking outlet. The hosts had to drop deeper for the closing stages of the game, which helped the visitors create the late chance Lacazette had to equalise. 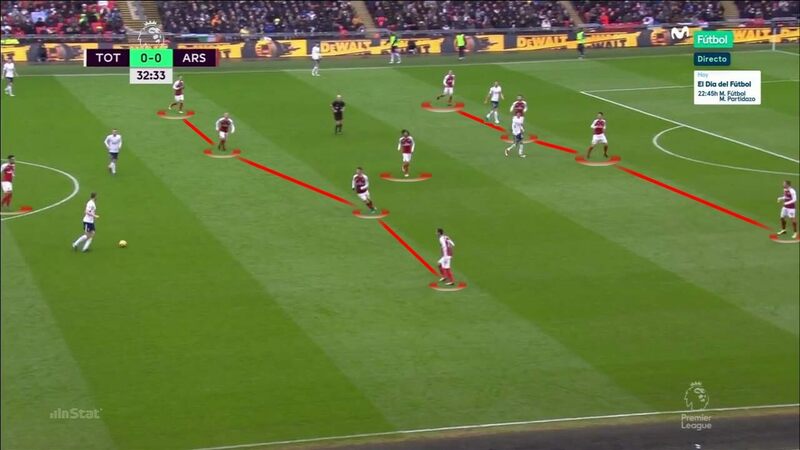 Arsenal adopted a 4-3-3 formation going forwards, dropping back to 4-1-4-1, with Mohamed Elneny sitting behind the midfield four, in defensive situations. The Gunners always looked to press the player in possession, with Elneny, Jack Wilshere and Granit Xhaka pushing forward in pursuit of the ball. 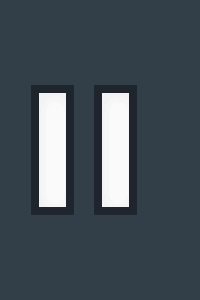 However, Arsenal’s defensive fragility was one of the standout features of the match. 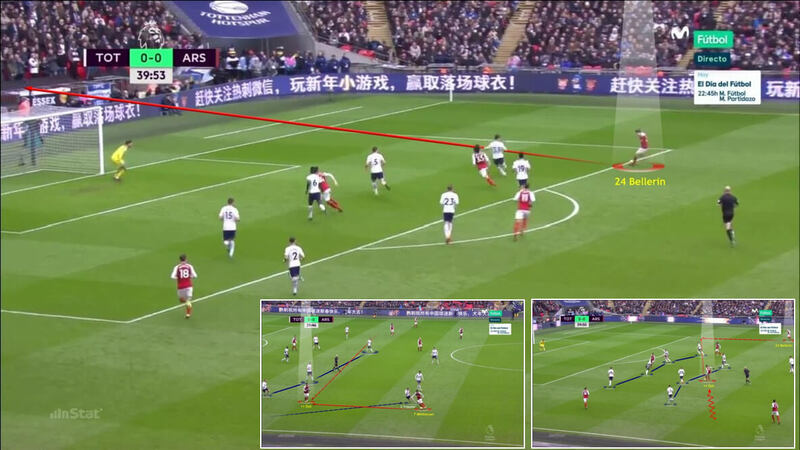 Their back four, especially full-backs Hector Bellerin and Nacho Monreal, were guilty of making errors and leaving plenty of space, allowing Ben Davies and Kieran Trippier to get in behind on overlapping runs. It was from one such run and cross from Davies that the Gunners conceded the game’s only goal. Arsenal had some difficulties in their defensive transition due to the speed of players like Kane, Alli, Eriksen and Son Heung-min. They found themselves exposed as they chased the game late on, and lost possession with many of their players deep in the opposition half. 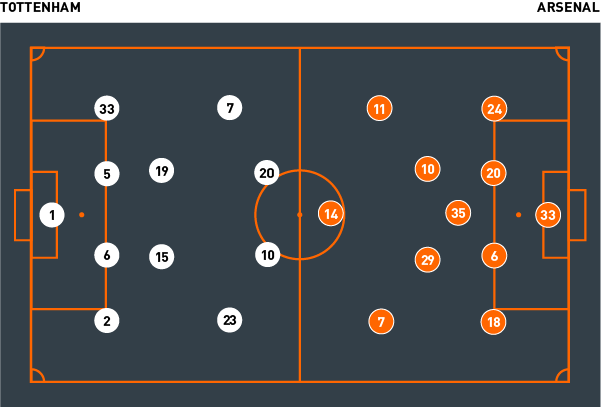 In attack, the visitors tried to overwhelm their rivals in midfield, by outnumbering them around the ball and trying to force their way in behind. Wilshere played an important role here, granted as he was the freedom to move across the front line and constantly alter his position, dropping back into intermediate areas when opportunities arose further back. The Gunners were disappointing in the final third, however, and their attacking trident posed a minimal threat. Wenger opted to restructure his attack with 25 minutes remaining, bringing on Alexandre Lacazette and Danny Welbeck for Mkhitaryan and Xhaka, and moving Aubameyang to the left wing. Lacazette provided an extra outlet up front, his runs helping to create a couple of late chances for the visitors to equalise and forcing the hosts’ defensive line deeper than they had operated throughout the rest of the game. On the counter-attack, Arsenal tried to look for possible gaps in behind the last line of the Spurs defence for their front three to exploit. Nevertheless, their options after winning the ball back turned out to be limited against a resolute Tottenham rearguard throughout. Tottenham succeeded in countering the potential threat of the Arsenal attacking trio of Mkhitaryan, Aubameyang and Ozil throughout. They managed to restrict them in the final third, so that they scarcely posed any problems. 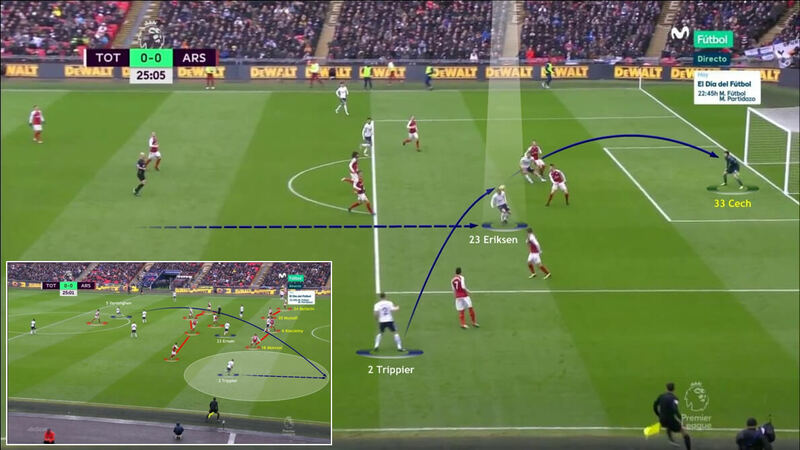 The Spurs full-backs did damage to Arsenal down both flanks, where Bellerin and in particular Monreal left plenty of space for Davies and Trippier to exploit. 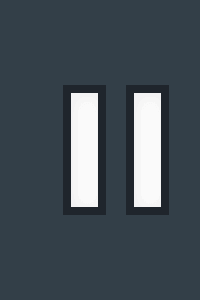 This was seen at its most evident with Harry Kane’s winner, when Davies found himself with time and space to put in a pinpoint cross. 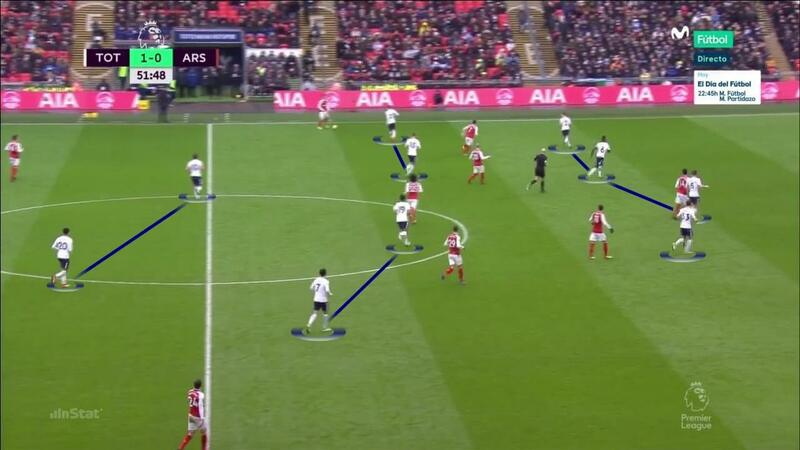 Despite Arsenal’s compact shape in defence, Tottenham were still able to control the game in midfield. Christian Eriksen’s willingness to come inside from his wide starting position helped Eric Dier and Mousa Dembele retain possession and repeatedly drive towards the Arsenal back line. Jack Wilshere and Mohamed Elneny both impressed for Arsenal. 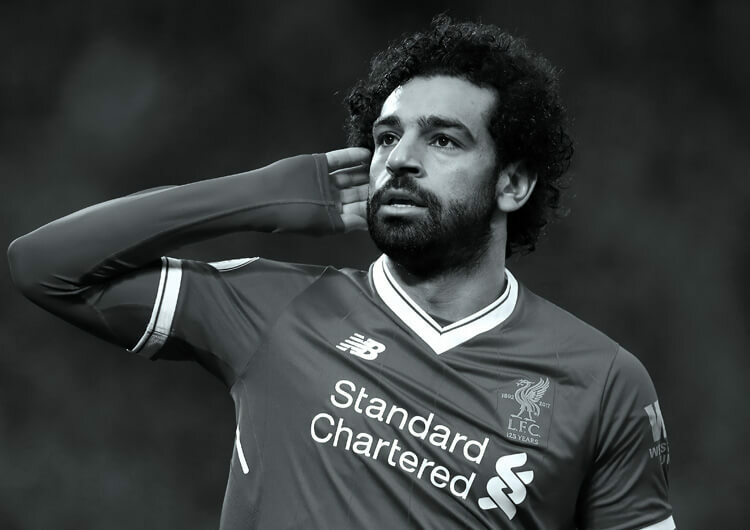 The former shouldered much of his side’s attacking responsibility, while the latter showed a good willingness to press and intercept, helping his defenders and often winning the ball back in midfield areas. Petr Cech also had an excellent game. His bravery in one-on-one situations and reflex saves ensured the scoreline was not wider.